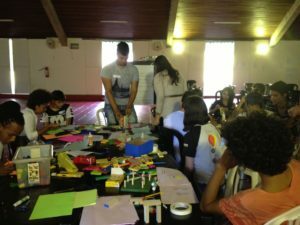 In 2014 Connection Lab was invited to Minas Gerais in Brazil to lead a group of High School students in developing a mural by analyzing data that the school collects about its students. 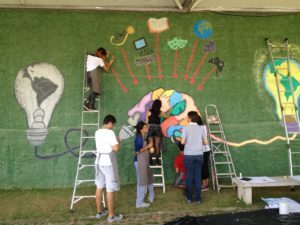 The mural process was intended to increase the students’ data literacy, to make new connections between the different groups of students at the school and to tell the surrounding community more about what the school does. 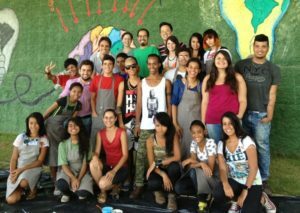 One day of storyfinding and one day of painting led to a dynamic mural that is visible from the street and from the entrance to the school’s campus.